All classes meet one hour per week, unless otherwise noted. 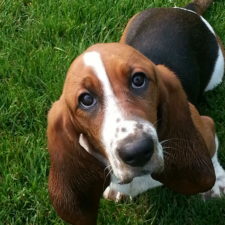 Puppy and adult good manners classes, $175/six weeks, $145/five weeks, $120/four weeks. 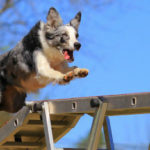 Beginner Agility 1, $125/five weeks, $100/four weeks. Agility 2 & Agility 3, $105/five weeks, $85/four weeks. Nosework, $100/six weeks, $65/four weeks. Nosework drop in, $10/week. Reactive Rover, $375/six weeks, includes one individual lesson plus class. Reactive Rover 2.0, $225/six weeks. Professional discount available on classes (except Reactive Rover); please contact us. Puppy Day School is $950 and includes a one hour in-home lesson plus eight days (40 hours) of school. Professional discount available on Puppy Day School; please contact us. Workshops meet one time and are $25 for one hour or $35 for 90 minutes, unless otherwise noted. There are no discounts on workshops. Our class and workshop sizes are limited to ensure quality instruction and individual attention for each student. By registering, you are reserving a space. Accordingly, we request a deposit at registration, and payment in full before the start date, in order to hold your space. We accept payment by credit card, check or cash. You can pay via credit card through PayPal when you register online. Checks can be mailed to TipTopTails, 18429 49th Street, Grand Junction MI 49056. There is a $20 fee for returned checks. Due to our limited class sizes, we are unable to refund fees after the first class. If either you or your dog is unable to attend the remainder of your class session due to an injury or illness, please contact us and we will extend a credit for the unused portion of your class fee, minus one night’s class fee to cover our costs. We accept titer testing. Please contact us to discuss. If your dog is reactive or fearful around other dogs or people (barks, lunges, growls or hides out of fear), please contact us before registering for a group class or workshop other than our Reactive Rover class. In order to meet our commitments to our instructors and facilities, we are unable to offer refunds or makeups for missed classes. Your instructor will be happy to review any missed exercises when you return to class. There is a four-student minimum enrollment for most classes. In the event that a class is cancelled due to low enrollment, you will receive a full refund or a credit towards a future class, whichever you prefer. If a class night is cancelled due to severe weather or instructor illness, you will be contacted by e-mail and phone as soon as possible, and we will schedule a makeup class (if possible) or provide a refund or credit of that class night’s fee, whichever you prefer. Group lesson, $175 (total for up to four dog-handler teams). Semi-private lesson (max of four dog-handler teams), one hour, $25. Private lesson, one hour, $50. Dog sport lessons are held at our training locations.